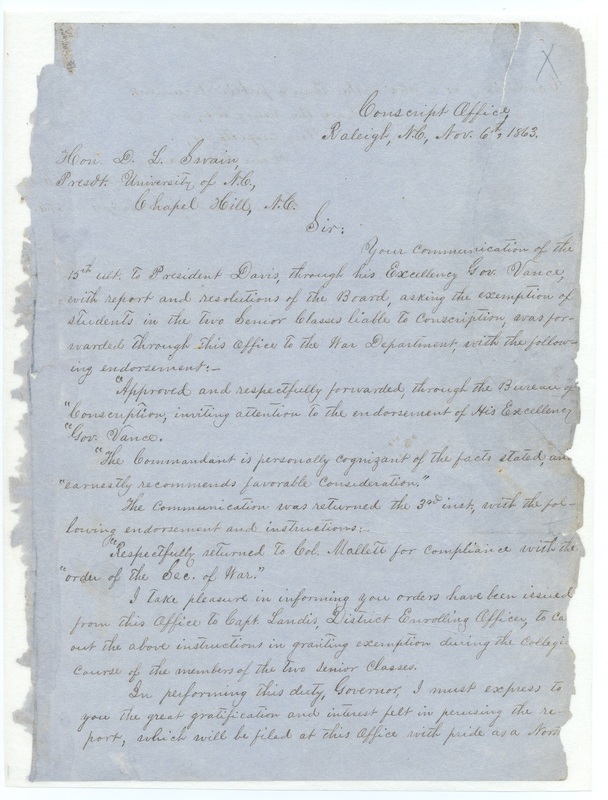 Item Description: Letter, 6 November 1863, from Col. Peter Mallett, Commandant for Conscripts, to University of North Carolina President David L. Swain, notifying Swain of the War Department’s acceptance of his request to exempt UNC seniors from conscription. Item Citation: From the University of North Carolina Papers, #40005, University Archives, Wilson Library, University of North Carolina at Chapel Hill. I take pleasure in informing you orders have been issued from this office to Capt. Landis, District Enrolling Officer, to carry out the above instructions in granting exemption during the Collegiate course of the members of the two senior classes. 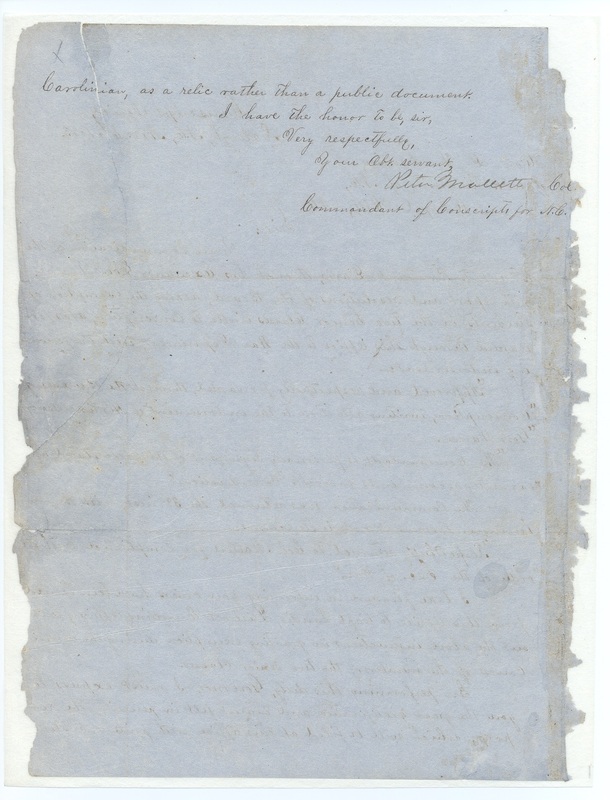 In performing this duty, Governor, I must express to you the great gratification and interest felt in perusing the report, which will be filed at this office with pride as a North Carolinian, as a relic rather than a public document. Commandant of Conscripts for N.C. This entry was posted in University Archives and tagged conscription, David Swain, Peter Mallett, students, University of North Carolina. Bookmark the permalink.